Silver lady - Open Edition. You usually hear these squeaky, cheeky Gang gangs before you see them. The males making a dramatic show with their strawberry plumage and are usually crunching loudly on gum nuts. 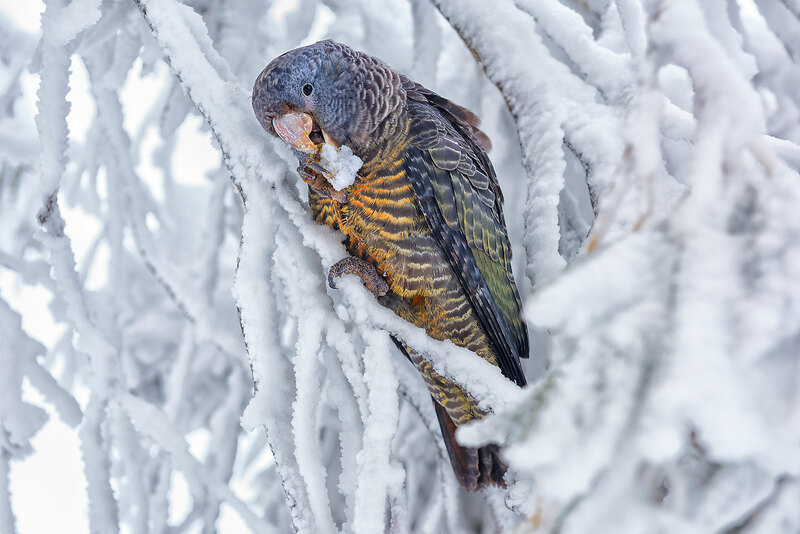 This young female was perfectly happy to sit in her snow-covered tree and snack while I took her portrait, her delicate feathers mimicking the tones of the snow gums.